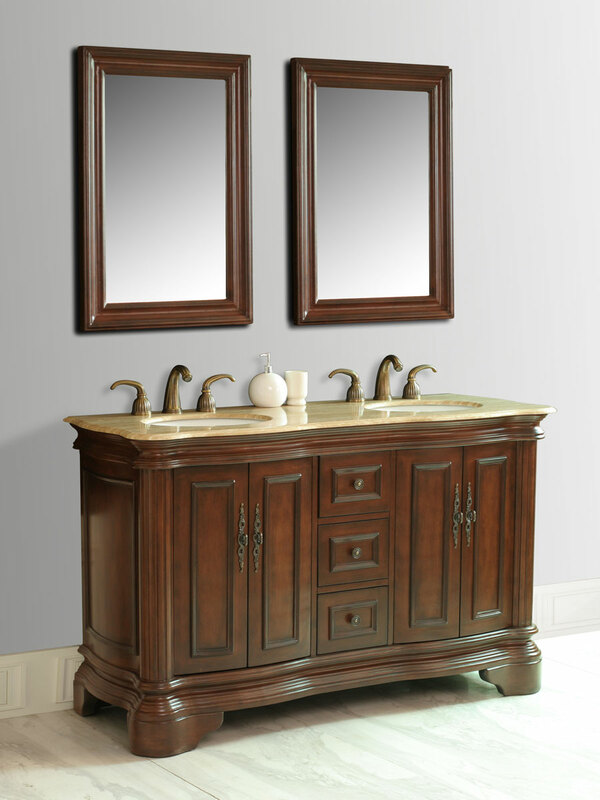 Warmth emanates in every direction of the 58" Adams Double Sink Vanity. 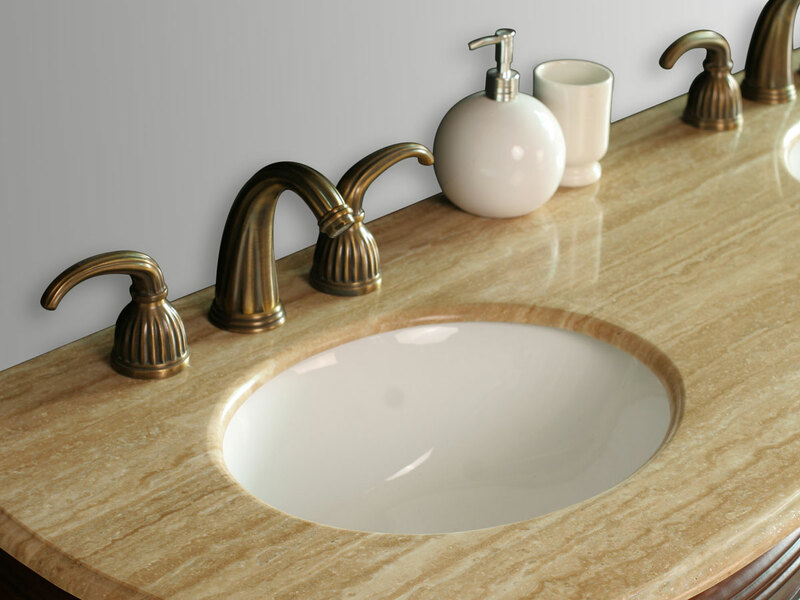 With a cabinet finished in a beautiful Red Brown finish and accompanied by a Travertine Marble top, this vanity is designed to please. 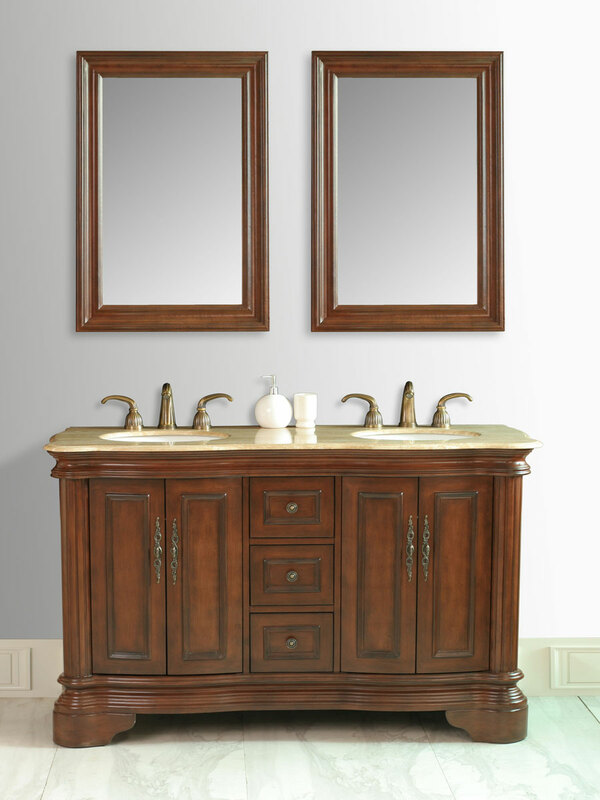 Two double-door cabinets and three storage drawers offer plenty of storage space, all equipped with European soft-closing glides and hinges. 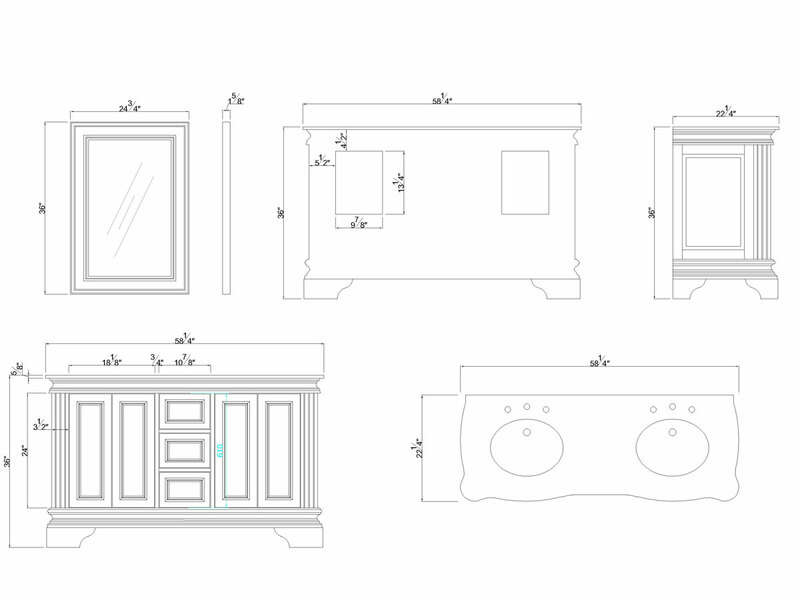 To give it a touch of style, each drawer and door front is accented with an aluminum, antique-style accent piece. 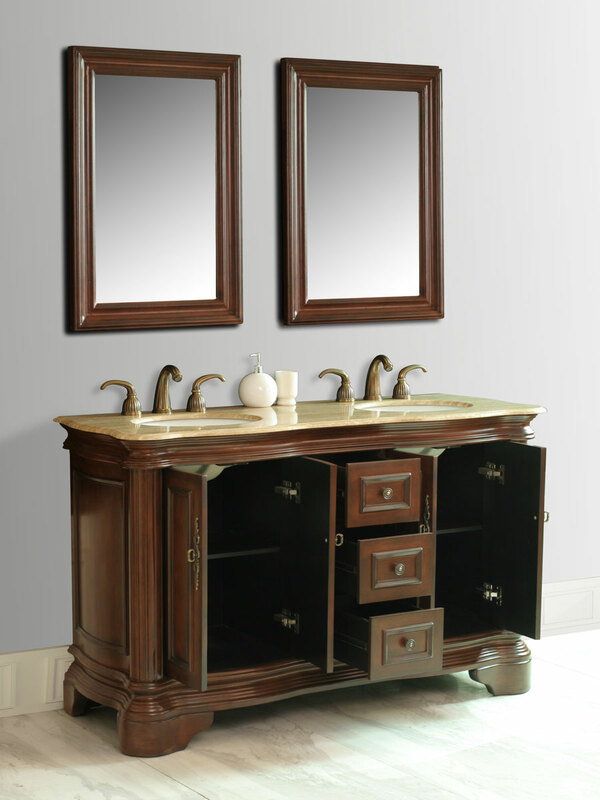 The Adams Double Vanity also comes with two matching mirrors!